We were able to have a great casual conversation. We started of with talking the time she came to Australia with her parents and her younger brother at a young age about more than 10 years ago. We went straight into talking about visiting Indonesia, which she visits nearly every year in the holidays and said she is planning to visit there again at the end of semester. “When asked how it felt to have arrived in Australia for the first time? “She was to the point on the fact “it was basically hard for the firsts time…because everything changes, we have to say bye to friend to indo and I had to take care of ourselves” as when she was in indo “there were elderly to take care of me” and now that she was starting to live the typical Australian lifestyle as parents go to work and kids are alone at home “she had to take care of herself” which she expressed as huge change in her life. This documentary looks to capture parts of the vibrant life of the Chinese Benteng community. The filmmaker explains at the beginning this minority group referred to a community of Chinese Indonesians residing in Tangerang Area, in the province of Banen. Which was one occupied by the Dutch colonists. They have been known to live there since 1407 CE. This post will follow on the various lifestyles lead by this mix cultural populace and try to understand their perspective in short. Keep in mind the people living in Tangerang are mostly farmers who have been following the family business since their arrival to the land and are quite isolated in the sense, by their environment; which is mostly of pastures, livestock and green-calm surrounding which in comparison to a rough, crowded, loud city life of Jakarta (Donenfeld, J 2013) which is an hours away. What’s more interesting is the fact the Benteng Chinese upholds to both the old Chinese and Betwai traditions which has been passed down from generations to generations like that of Lim Tjoan a 75 year old farmer who have retired from farming with his “…field work is now handled by my children” (Leo. P.J 2012), which is quite impressive in this day and age where many of the traditional understanding and knowledge is lost as new technologies and influences take its place. This show of cultural richness is further evidently shown at the start of the video where the people celebrate the ‘Dragon Boat’ festival, which started 2300 years ago when the Chou Dynasty ruled China (1122 – 256 BC) and has been celebrated to this very day as rememberence. And if you look in further there is a second layer of family traditions showcased when the “bride is combed by her brother three times in a row” (TheKotatua 2013, 9:20) a ritual with the filmmaker explaining that each comb has a meaning. In other times there is the traditional values that you hold on to as an individual which is shown in the video when the ducks are released into the water and the “people jumps into the river to catch ducks, which is believed will bring luck” (TheKotatua 2013, 22:43). It seems absurd to watch these occurrences being performed but if you look closely at its core reasoning, a sense of unity can be seen being bought to the community. It echoes togetherness and show of strength in a mental and physical sense towards the hardships and suppression the people of Tangerang had to endure over the past. 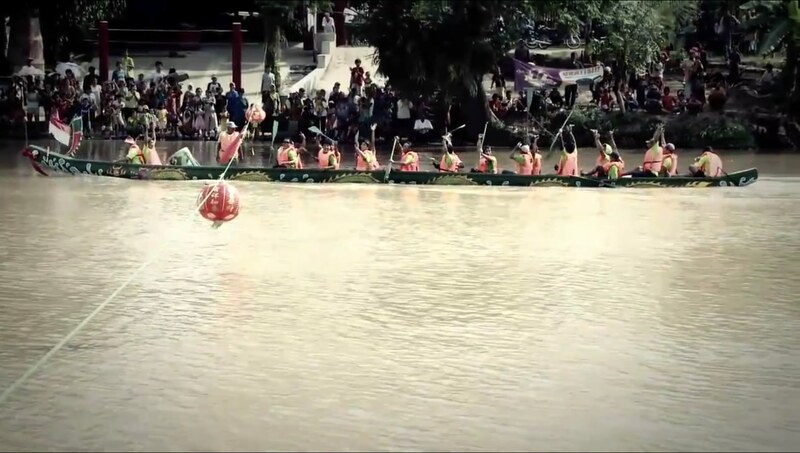 Participants of one of the dragon boats winning the race. Today the Benteng Chinese culture is a mixture of Chinese and Betwai cultures, the Betwai being the indigenous people of Jakarta. These ties of mix tradition encourages a lifestyle which can be challenging but at the same time interesting to live by. Never the less there is no compromise for togetherness and that’s the key that holds this community together. The relation between an street artist and his or her artwork is seen as an revolt towards a higher power, this post would show this phenomena through evident similarities between the two different cities of Jakarta, Indonesia and Melbourne, Australia on the two well known cities that encourages street art in their own sense. These views are portrayed through the comparison of the lifestyle lived by the street artists to bring change in a political and lifestyle inspired artistry. Just to clarify, ‘Graffiti’ and ‘Street Art’ are two different genres. The lateral focuses and follows the true meaning of Art, which is …”an experession or application of human creative skill and imagination, typically in a visual form such as painting or sculpture, producing works to be appreciated primarily for their beauty or emotional power” (Oxford Dictionary, 2015). 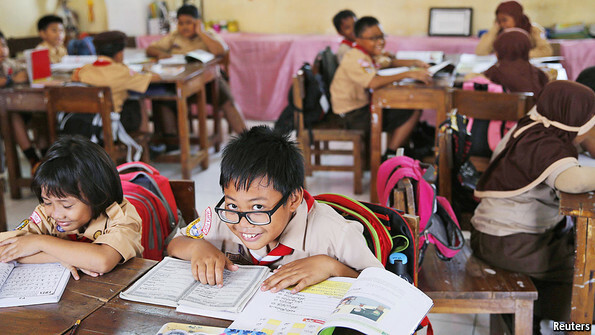 In this case the focus is on emotional power one which has been capsulated and has helped build Indonesia back from their harsh experience of oppressive colonialism in World War II. Although Street Art wasn’t invented then, the paintings produced by the artists at the time in the likes of “Affandi Soedjono and others — passionately striving to portray what was truly Indonesian” (Forshee 2006, p 60). This same effect of protistic image are applied today which are evident in the streets of Jakarta, portraying negativism that still lurks among the populous and their government. In Jakarta and in many parts of Indonesia, street art is encouraged by the community and collaborated with the artists to focus on a specific theme which highlights a certain problem or issue being faced, this is seen as an “effect of street art communities interacting with the community”(MOCA 2013, 5:52) it is seen as an symbolism of power to make change to give sense of hope for the people. In comparison the street art interaction at Housier Lane and other similar streets in Melbourne follows the creative skill and imagination of the artist. As “David Hurlston, the curator of Australian art at the National Gallery of Victoria, says our street art — recognised internationally mainly for aerosol and stencil works — is arguably “the most distinctly identifiable cultural and contemporary artistic movement to have occurred in Australia over the past 30 years” (Sydney Morning Hereld, N. Rousseau 2012) and preserved as a National Heritage site to be viewed by tourists from in and out of the country. Some of the artworks includes that of internationally recognised street artists like that of the works of Banksy and his stencil art piece the Little Diver. The ‘Little Diver’ by Banksy can be viewed in Cocker Alley, off Flinders Lane, Melbourne. The stencil has been protected by a clear perspex screen. As the saying goes “a picture speaks a thousand words”, and street art can be viewed as a voice that louden the cries of the people, to express ideas, expand ones imagination, and sometimes to make you feel inspired. It is important that we hear them all and encourage preserving them.